Haven't got much space but looking for something modern and stylish? You've came to the right place! 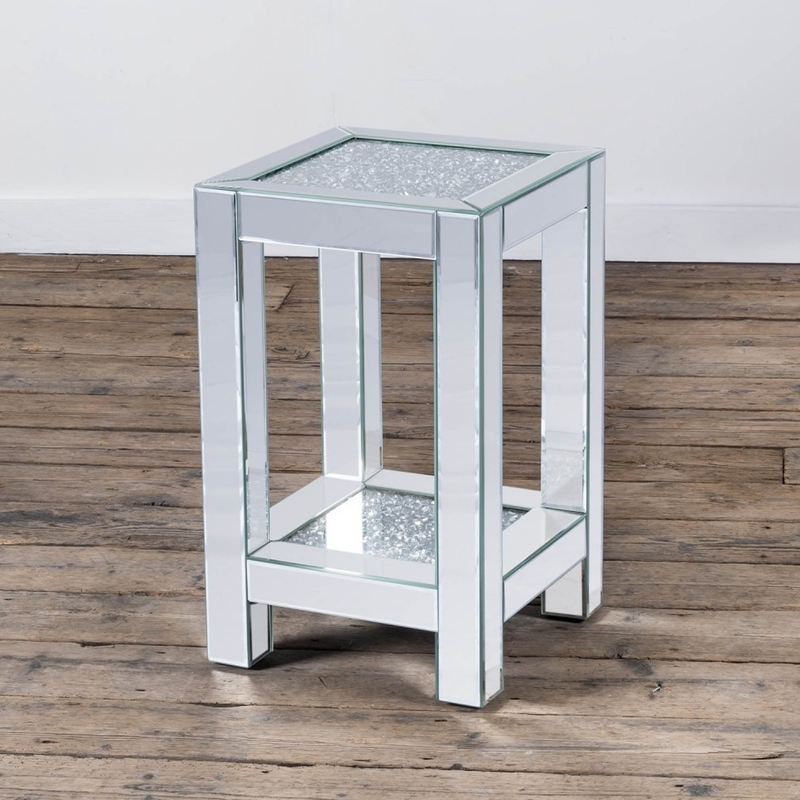 This superb Mirrored Venetian Crushed Diamond Style Small Square Side Table is the perfect addition you need. With a bottom shelf for storing anything you wish along side a beautiful and elegant design this table bound to brighten up your home.